Create a “collective impact” partnership that aligns education and training providers and cross-sector partners to improve educational outcomes and create a more competitive workforce. In the modern economy, talent is perhaps the key driver of economic success and prosperity. The availability of a skilled and educated workforce is a top factor influencing location decisions across many business sectors, and at the individual level, educational attainment is strongly correlated with earning potential and personal well-being. The adult population in Wichita Falls is relatively less educated than state and national averages. And while this gap has been closing in recent years, the fact that younger people in Wichita Falls are less educated than older residents suggests this trend may not be sustainable. There are two ways that communities can raise educational attainment rates. The first is attracting new residents from outside the community. Research revealed that Wichita Falls is losing residents to other parts of Texas and the United States. Ensuring that Wichita Falls is attractive to talented individuals is an important strategic need, and other portions of our economic strategy seek to address it. But Wichita Falls can also seek to improve our workforce by producing and retaining “homegrown” talent. Wichita Falls has the building blocks of a quality “talent pipeline,” including Midwestern State University, Vernon College, the new Career Education Center (CEC), and public schools in which parents and recent students generally view favorably. Additionally, non-profits and other organizations operate a range of programs designed to improve educational attainment and individual outcomes. But public input also revealed areas for improvement. In particular, stakeholders recognize the need for the region’s education and training providers, the business community, non-profits, and other partners to work more collaboratively. To that end, communities around the country have embraced “collective impact” models that bring together a range of partners to work toward system-level improvements to a local talent pipeline. Adopting such a model would allow the community to work together to raise educational attainment levels, strengthen the region’s workforce, and improve the lives of its current and future residents. The core of this portion is based on aligning people with jobs through ongoing/continuing education and job placement, internships and more. It will rely heavily on the “collective impact” partnership across all sectors – job providers, educators, and action team. In most cases, the backbone entity of a collective impact education partnership will include multiple subgroups or “action teams” dedicated to a specific issue or set of issues – e.g. dropout prevention or kindergarten readiness. 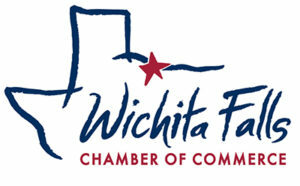 In Wichita Falls, action teams could be formed around issues that emerged as community priorities during research and public input, including early childhood education programs, additional support services for students and families from economically disadvantaged households, and re-engagement of high school graduates who are not in school or attached to the workforce, among others. Action teams should be chaired by one or more members of the backbone committee, but their membership is typically broader than that of the backbone and often includes practitioner-level members. The backbone committee and its action teams must constantly seek to optimize programming. To do so, it must utilize on-the-ground observations and local expertise in combination with student-level data that can help determine whether actions are leading to improved outcomes. 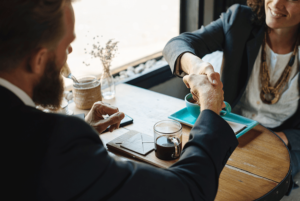  Attract and retain residents and businesses: A strong workforce is essential to economic competitiveness and education systems can play an important role in individual location decisions.  Increase prosperity for all residents: Educational attainment is closely tied to living standards.  Enhance the quality of life and quality of place: Increased educational attainment is associated with a range of improved outcomes at the individual level.  Promote inclusivity and equity: A key component of the Partnership would be to enhance, expand, and align programming for all residents, particularly those from traditionally underserved groups.  Improve internal and external perceptions of Wichita Falls: A visible, community-wide effort to increase educational attainment would boost local pride and positively impact outside image.